Mascara Area, Algeria, Summer 1961. Harkis from M'Zaourat post, during a routine operation. They are part of the 158th Infantery Batallion based in Mascara. 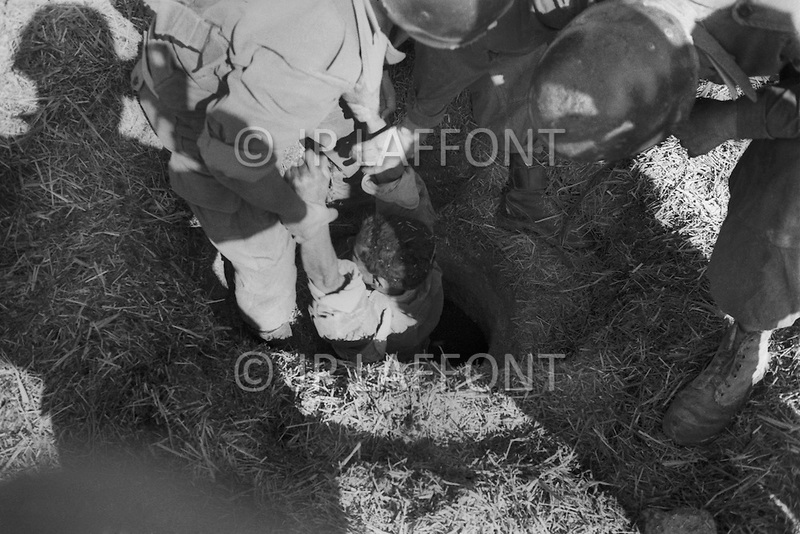 A suspect is removed from a man hole.